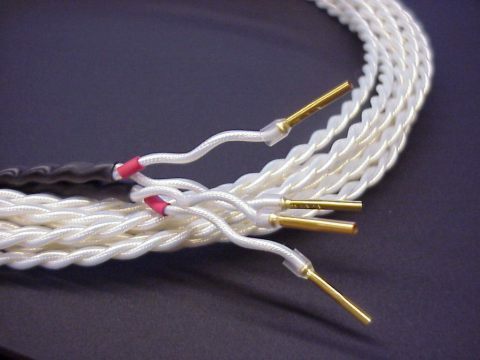 Teflar 2 is the successor to our classic speaker cable: Teflar, used in thousands of Audio systems world wide. More than 11 km sold so far. Teflar 2 is made from pure silver plated OFC copper conductors of Oxygen Free Copper, isolated with the best composite dielectric material: PTFE, or pure TEFLON. You will find the same type of cable from other vendors, but the prices are from 3 to 10 times higher. Teflar has a neutral sound balance, with crystal clear high range and good control in the bass. 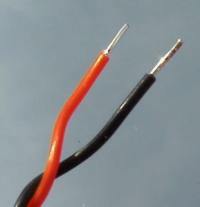 The impedance of TEFLAR 2 is similar to that of 12AWG copper wire, or 3 square mm. copper cable. 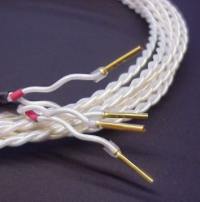 We recommend TEFLAR 2 for full range speaker cable up to 3-5 meters for 8 Ohms speakers, or 2-3 meters for 4 Ohms speakers. Also TEFLAR 2 is the perfect choice for mid / high range segment in bi-wired and tri-wired systems. Any wire length is suitable in this application, due to the linear dielectric properties of the TEFLON (PTFE) insulator. The cable can be delivered as 10 meter single core or 1-6 meter lenths twisted pair. Stripline 2000 is our small signal high grade cable. It is made from a pure silver plated solid core Oxygen Free Copper conductor, and isolated with a vibration dampening layer of the best composite isolator in the world: PTFE (also called pure TEFLON). These materials have been chosen specifically to obtain high frequency clarity, resolution, precise definition, and a warm voice region, with good bass control. Stripline 2000 is available in 1, 2 and 3 conductor versions for internal use, RCA cables, or balanced XLR cables. Also a range of ready made RCA cables, and XLR cables can be purchased from us. Note: Other lengths are made to order, please send your inquiry for prices on special cables! Page Build Completed in: 0.058 seconds. .